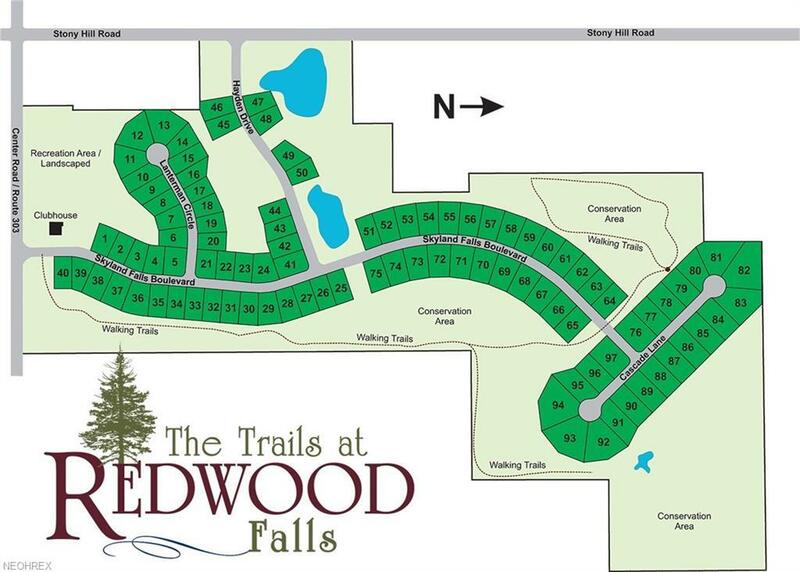 The Trails at Redwood Falls is an exciting new development where beautiful architecture will blend with the natural beauty of the land to create a place that is unlike any other. The amenities feature entertainment for any age with proposed walking trails, five lakes, and a fully functional clubhouse. The Trails at Redwood Falls has an architectural review board that sets a high standard for quality and detail, creating a streetscape that rivals any other community in Hinckley, Ohio. Located in the highly sought after Highland School District, with close access to Hinckley Elementary, Highland Middle, and Highland High Schools, The Trails at Redwood Falls will have 97 fully improved home sites, with city water and sewer, several walkout home sites, and a gorgeous parklike setting. Phase I will open 41 homesites in 2018, with plans for Phase II and Phase III to follow. 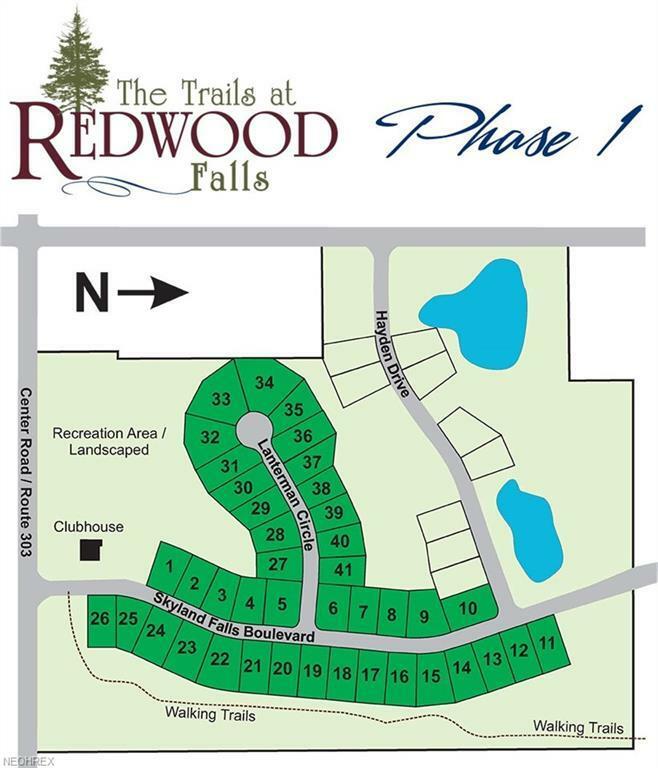 Call to meet with developers and builders to discuss building your dream home in The Trails at Redwood Falls.